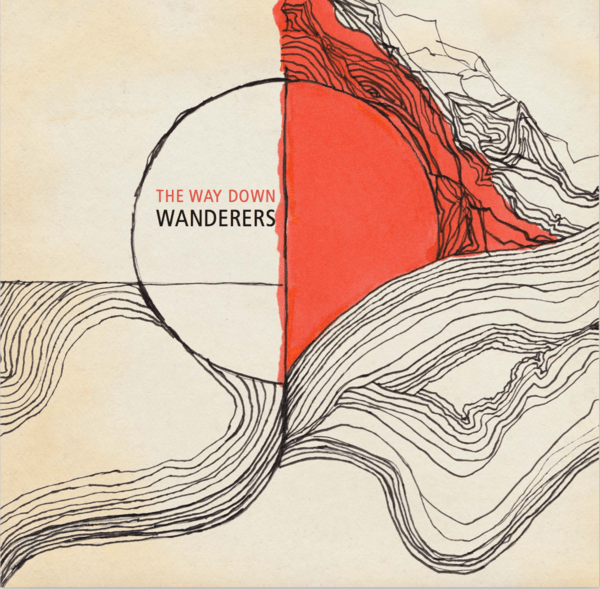 Album Review: The Way Down Wanderers, "The Way Down Wanderers"
For a band that’s only been together since 2013, this first full-length album from The Way Down Wanderers belies the brief nature of their existence. An album filled with the richness of American music on numerous levels, I would have said on a guess that this was the work of seasoned players from the Grand Ole Opry. The exhilarating fiddle fills and banjo runs on the opening cut, “Dead Birds” is just a fragment of what makes this album an instant eye opener. The vocal harmonies can induce chills; the upbeat nature of the melody makes you pay attention and you know this is bound to be more than just pretty good; subsequently, “Sweet Morning Vision” is a little more subdued but has a classic country feel, although it does pick up tempo and bursts into country pop (NOT in the modern sense, thankfully) and “Circles” is in the same vein – classic country melodies, lyrics that are painted by longing and loss, dramatic yet hopeful – a high point of this album (and a wonderfully tasteful piano solo!). “Wildfire” opens with a gorgeous accapella harmony and springs right into a hyperdrive rhythm and pace that fits the lyric, leaving you breathless (my god, that banjo! ); “Changing” does the same thing – opens with accapella vocals but then the surprise is that it goes into a rock vein (!) with a taut, heavy guitar body and this does, indeed, rock! “The Way I Love You Now” is another quick tempo piece (if 100 m.p.h. is “quick”) but is joyful and tight; “Midnight Flowers” closes the album in a perfect fashion – stripped down with just guitar and voice – to gently bring you back down to Earth to catch your breath. I have to give very high marks to these incredibly fine players who make up The Way Down Wanderers; they have fire, skill and certainly a great love and appreciation of the roots music of this country and they utilize their talents to maximum effect on this absolutely stellar album. Everything about it is right – the song balance, the production and the way it holds together. One hell of a debut full length.